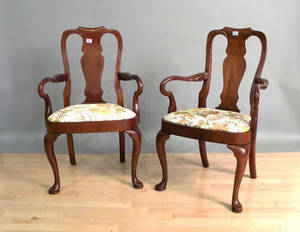 Pair of Stickley Queen Anne style armchairs, branded and paper label. 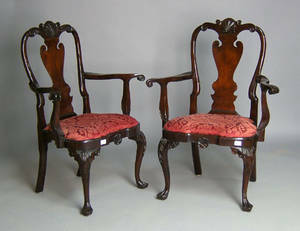 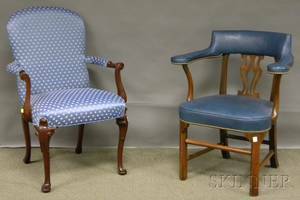 Pair of Baker Queen Anne style armchairs. 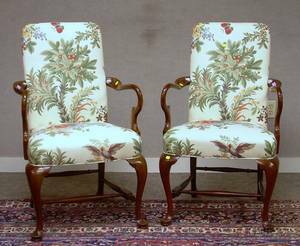 Pair of Southwood Queen Anne Style Floral Upholstered Carved Mahogany Armchairs. 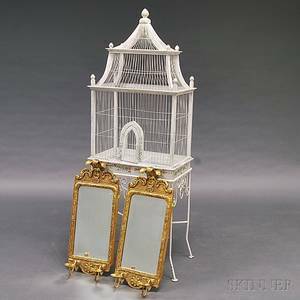 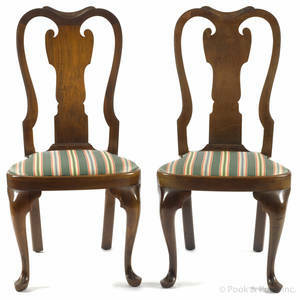 Set of Four Queen Anne Style Armchairs. 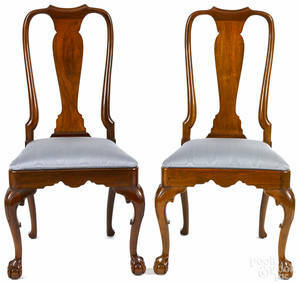 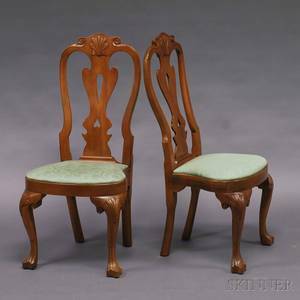 Pair of Kindel Queen Anne style walnut dining chairs.